Last week I saw, “Men In Black 3.” Before I even got to watch the movie, I sat through over 20 minutes of previews for upcoming movies. Genesis 22, not only gives guidance on how to face the darkest tests of life (Rise of the Dark Night), it also gives us “sneak previews” into the most important chapter of God’s Story of Grace-the suffering and death of Christ. It is a dress rehearsal of what will occur 2,000 years later. It shows us that God’s overflow of grace upon us through the cross was central to God’s Story–down to the minutest details. To look at this I will introduce a concept in the area of biblical interpretation which may be new to some of you. That concept is called a “type.” A type is a literal object or event in the Old Testament that represents and teaches about a spiritual truth that is to come. For example, the Jews put blood on their doorposts on the night of the Passover. The angel of death passed over the blood. (Exodus 12:12-13) It was to begin conditioning God’s people to understand that a blood sacrifice would protect them from God’s judgment. 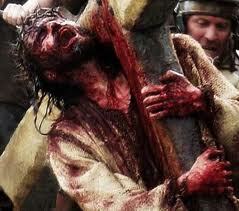 The blood of the Passover was a type (sneak preview) of the blood of Christ which protects us from spiritual death. Genesis 22 presents us with at least seven types of Christ’s suffering and death. In this blog we will look at the first four, and the next blog will look at the final three. In doing so, I hope we better understand our personal worth before God and the worth we should give to God through our worship of Him. Mt. Moriah (as seen in v.2) is the place where Abraham and Isaac are specifically instructed to go. Moriah, in the Hebrew, means “chosen or foreseen of God.” Moriah was specifically chosen by God. There was not another place they were to go. It was not incidental or accidental. It was fundamental. Mt. Moriah is the same limestone ridge in which Jesus was crucified, Golgotha–the Skull. It was a three day journey from Beersheba to Moriah. The three days of travel would have prolonged the agony which Abraham had to endure. 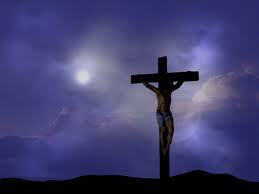 In Jesus day, when there was a crucifixion, it was designed to be a drawn out and prolonged experience. Today, if someone is executed, it is relatively quick–electrocution or lethal ejection. The cross was designed to be agonizingly slow! It was Rome’s way of communicating to observers: “Crime doesn’t pay.” When a victim would take his cross, he would often have to take the longest route possible so as many people from the public could hurl insults. The victim was made to feel the misery of every step. And, like Jesus, Abraham painfully felt every step. In v.5 we see that Abraham said to his servants that they could go this far and no farther. He and Isaac had to go this alone. This speaks of the loneliness of Gethsemane. Christ was there alone with the Father, the the garden, as Abraham is alone with Isaac. Not even Jesus’ friends could assist Him. 1. Let your worth begin here. In God’s Story of Grace, 2,000 years before the suffering and crucifixion, God had it planned out to the minutest detail. Understand that forgiveness and grace are central in the plan of God. This is why viewing the Old Testament through this lens is crucial. All 66 (39 in the Old and 27 in the New) books of the Bible tell us the story of God’s Grace because it is who He is. It is the Story of this Grace that reshapes who we are to God and why we are here on this planet. This is where our worth and purpose begins–receiving and giving grace! 2. Let your worship begin here. In our next post we will look at the final three types of the suffering and death of Christ in Genesis 22. Though every type is important, I believe these final three are even more significant in what they reveal!